Brian Bronfman has an impressive educational background, with 11 years of post-secondary education, including a philosophy B.A. and two law degrees from McGill University, plus a Masters of Science in natural resource planning from the University of Vermont. But a twist of fate led him to use his final academic year studying mediation and conflict resolution at a small college in Vermont, a year that was the most significant of his academic life. Brian returned to Montreal from Vermont in 1998, working for two and a half years as the founding director of Institut Pacifique’s social mediation division. This experience, in tandem with relationships he was establishing with various other non governmental organizations (NGOs), led him to realize that mediation and peace are completely interlinked. In 2005, his father Edward – who was awarded the Order of Canada for his philanthropic activities – passed away, leading to the creation of the Brian Bronfman Family Foundation (BBFF) as the continuation of his late father’s foundation. A few years later, Brian and his colleagues also created the Peace Grantmakers Network (PGN). This membership organization rallies players in the philanthropic and corporate world around the peace cause as a means of maximizing impact. For both BBFF and PGN, the working definition of peace is not political and it is not symbolic. The intention is to be involved with activities that have real and lasting impact. Both the Foundation and the Network are involved in activities related to matters such as violence prevention, diversity, conflict resolution, and social-emotional learning. The BBFF’s primary activity is to provide grants to organizations that create peace in concrete ways. One of those NGOs is Equitas, given that the organization uses a multitude of peace skills as part of its human rights training, such as those related to communication, empathy, and respect. At first, the BBFF was happy to provide grants for general support of Equitas. In 2012, one of the applicants for Equitas’ summer International Human Rights Training Program (IHRTP) was a young man from Gaza who had been working to develop educational materials to help create more peaceful communities back home. Equitas approached Brian to support Mohammed’s IHRTP participation, and BBFF agreed to pay half the cost of his tuition. The next year, an identical situation took place with Najme, a young woman from Iran. Following the success of these two grants, BBFF agreed to change its annual general donation into an annual bursary that covers the entire cost of the IHRTP for a person working towards peace, including tuition and expenses. The bursary is given to a participant selected from a number of potential candidates, with the main criterion being their involvement in peace-in-action. Last year’s recipient, Irene, is working on ensuring that peacekeepers in Africa remain respectful of the communities in which they serve and protect women’s rights. Of all of the activities that the BBFF supports, Equitas now ranks well above average in terms of total dollar support. They are also above average in terms of NGO relationships. 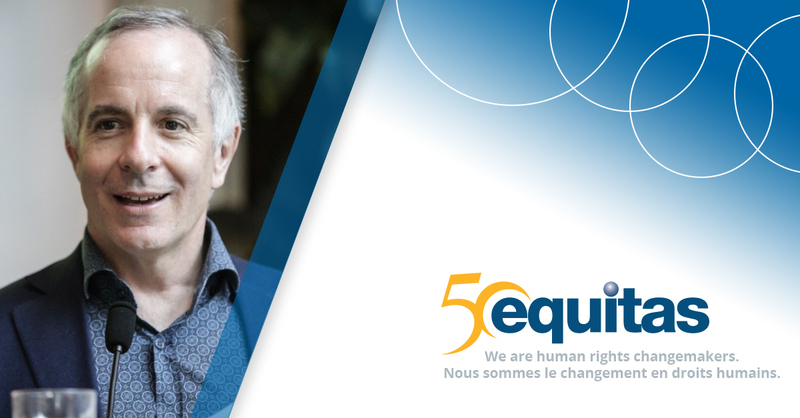 All things being equal, the support of Equitas will likely continue, given the fit with BBFF’s mandate, the close relationship that has evolved over time, and the unique and satisfying funding mechanism that has been developed. Story prepared by Bill Horne, Launceston Services.